BERGEN BEACH, Brooklyn (WABC) -- A tree in Brooklyn attracts plenty of smiling children, but some neighbors aren't too happy about it. 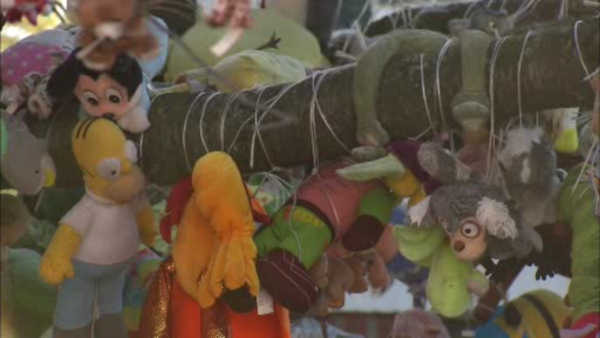 More than a thousand stuffed animals hang from the limbs of a cherry tree in the front yard of a Bergen Beach Home. The owner says he started attaching stuffed animals seven years ago, now neighbors and strangers add to the collection. Some neighbors filed complaints about the tree, but others don't seem to mind.